These days, just about everyone has a favorite YouTube star. For me, that person is Liza Koshy. If you’ve seen her videos Koshy plays a comedic role on the internet. Usually, her videos are just of her being goofy or putting a comedic spin on a subject. For instance, she posted a video of her reaction when she Googled her own net worth (see below) that was hysterical! So, what is Liza Koshy’s net worth? Liza Koshy was born and raised in Houston, Texas. She is half Indian, half Caucasian and simply loves to make people laugh. Over time, she’s become one of the most popular YouTubers out there. Koshy, better known as Lizzza, first gained her following on the social media site Vine. She had no initial interest in the app but downloaded it because some of her friends were. That is where she started posting her very first comedic videos to the web. On Vine, she gathered more than 5 million fans before the site went out of business. Like many other internet stars, however, Lizzza turned to YouTube to help her career really take off. Since joining YouTube in September 2013, she’s accrued over 11 million subscribers. She also has more than 8 million musical.ly fans and over 13 million Instagram followers. In 2014, Lizzza went to college to study business marketing. However, she hasn’t let that stop her from continuing to make the internet laugh. 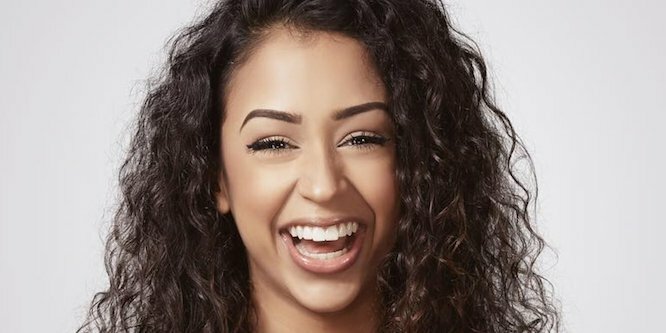 So, what is Liza Koshy’s net worth? Pro Tip : Access all your finance/auditing applications such as QuickBooks etc. remotely from anywhere by Hosting QuickBooks on the Cloud with citrix vdi accessible on any device(PC/Mac/Linux/android/iOS) powered with top-notch technical support from Apps4Rent. Well, it depends on who you ask. Celebrity Net Worth has estimated Liza Koshy’s net worth to be around $4.4 million, which is pretty remarkable when you consider the length of her career. Koshy was discovered by many through Vine, however, she has managed one of the fastest growing YouTube channels around. In 2016 she gained 6 million subscribers (earning her more than 10 million subscribers altogether). This has been her main source of wealth. Because her channel was able to grow so quickly and her videos go viral, Koshy was (and still is) able to capitalize on her YouTube earnings early on. Most YouTubers have to wait a few years before going viral or establishing a decent subscriber count. Outside of her YouTube earnings, it has been announced that Lizzza will co-host the MTV series TRL, which she’ll likely make millions from (through screen time, additional gigs and endorsements). In fact, it is likely that you’ll see Liza Koshy’s net worth grow exponentially in the years to come.